Today, the Immigration Minister Peter Dutton signed a Mutual Recognition Arrangement (MRA) with China, designed to considerably enhance trade between our two countries. 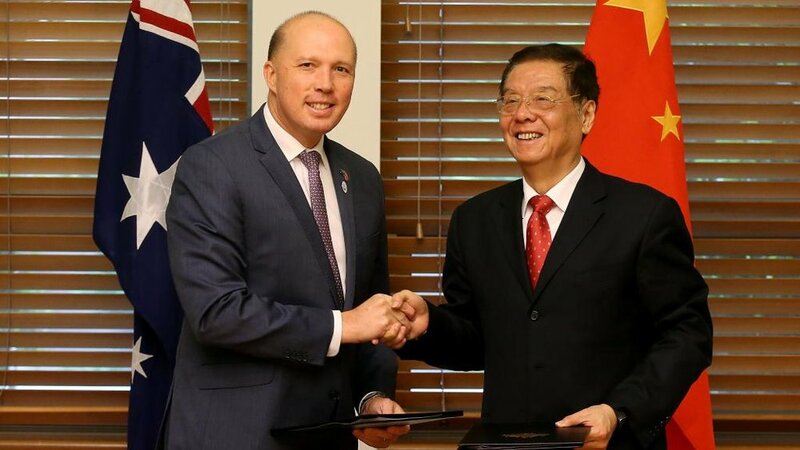 Mr Dutton, and the Minister of China Customs Yu Guangzhou, signed the MRA in Canberra today, thereby confirming that each countries’ Customs and Border Protection agencies will recognise each other’s Authorized Economic Operator (AEO) programs currently in force. At present, Australia has similar arrangements with New Zealand, Korea, Canada and Hong Kong, with further MRA negotiations currently taking place with other major trading partners. The Minister for the Department of Immigration and Border Protection (DIBP), the Hon Mr Peter Dutton, and Minister of China’s Customs Yu Guangzhou, today signed this historic MRA between Australia and China. The Minister is said to have commented that MRA’s reduced the regulatory burden on Australian businesses, and would provide faster and more efficient access to the Chinese market for Australian Trusted Traders. “This arrangement will provide Australian and Chinese businesses unprecedented access to trade facilitation benefits and will reduce costs for businesses trading between our two countries, while ensuring the integrity of our border,”. “I encourage Australian businesses of all sizes to participate in the ATT program in order to make the most of this exciting opportunity.” Mr Dutton said. As encouraged by the Minister, now is the time to become a Trusted Trader, particularly with inbound benefits being confirmed last month relating to ‘Consolidated Cargo’ streamlined declaration processing only for Trusted Traders and monthly reporting due to be implemented during the first six months of calendar 2018. Please do not hesitate to contact Trusted Trader International (TTI) if your company wishes to become an accredited Australian Trusted Trader or certified AEO company in any other major trading partner country.